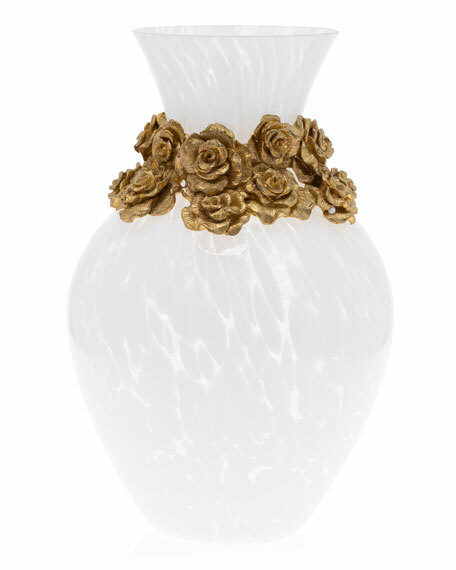 Our beautiful bouquet of gilded roses wraps around this dappled glass vase. Handcrafted clear glass vase with white frit. Pewter roses in 14-karat gold with hand polished highlights. Arrives in signature Jay Strongwater box.